This Best of Show LaCrosse 2911RB travel trailer features all of the modern conveniences that you would expect to find from the 30" convection microwave and large stainless steel residential refrigerator to the 87" king U-shaped dinette. You will also find MAX storage throughout including in the oversized pots-n-pans drawer and oversized pantry with adjustable and removable shelves. 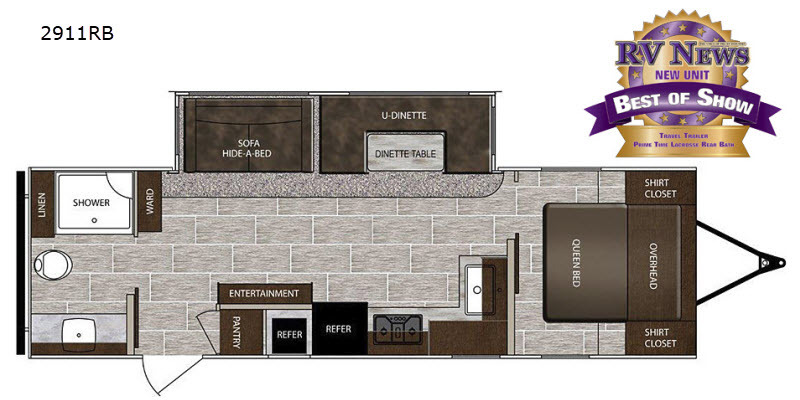 Just imagine traveling to new campgrounds once a month with your own queen size bed and full bathroom amenities including a residential shower with a seat. You might even like to play cards or board games at the dinette when other campers come over. 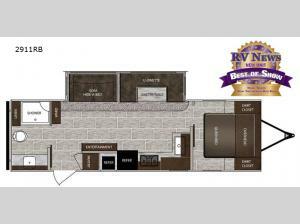 Come see what else you will enjoy about this model!